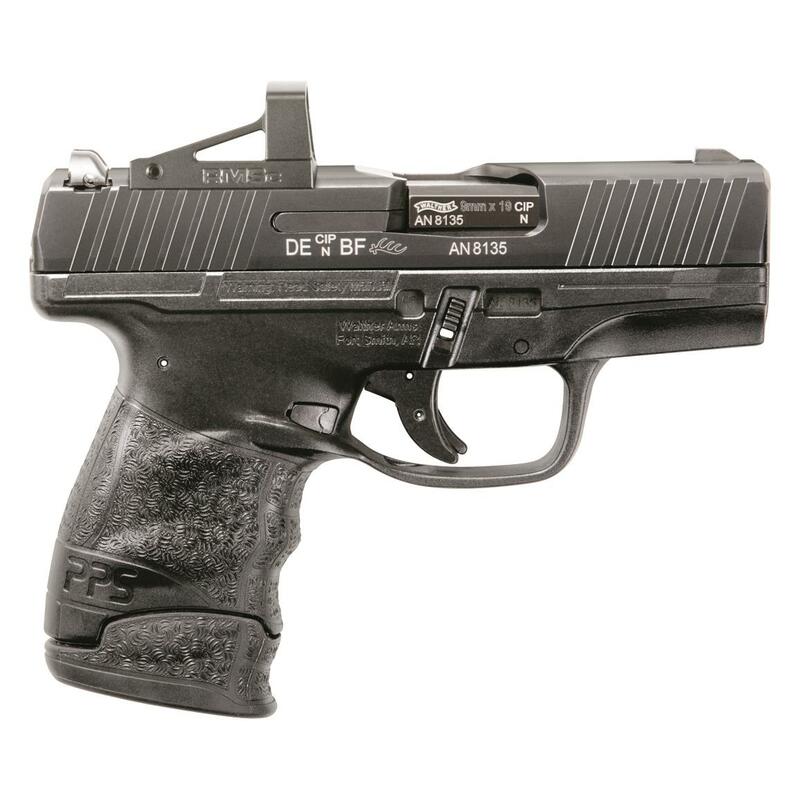 The new and improved PPS M2, now with Shield® Mini Sight! This model comes with a Shield® RMSC (Compact Reflex Mini Sight) with 4 MOA red dot for razor-sharp targeting. Walther PPS M2 with Shield RMSC Optic, Semi-Automatic, 9mm, 3.18 Barrel, 7+1 Rounds is rated 5.0 out of 5 by 1. Rated 5 out of 5 by JRockJimmyJam from Amazing concealed carry The perfect concealed carry weapon. For a gun this size, the recoil is extremely manageable. The size of the red dot is perfect. It’s thin, low profile and it’s always on so no worries about pushing a button when you need to aim down. The battery is supposed to last a year. I’ve had it for 6 months and it’s still bright. The gun is also very comfortable to hold. Get this gun!